Here is what I am offering so far in small groups and what times Ray has available for private kids. Please note that if I have three or more students interested, I can add an online class or face-to-face class to my schedule pretty easily, so check out my Meaningful Composition samples if you are considering a quick summer writing class for your students! 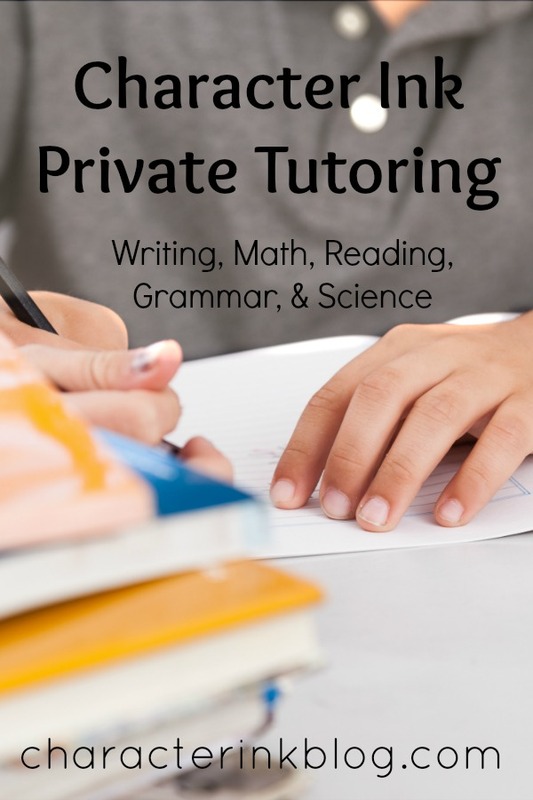 Private Costs: Private tutoring for Ray and/or Donna is $30 for a 55 minute hour for once a week; $25 for a 55 minute hour for students who come twice a week (or one session with Donna and one with Ray). 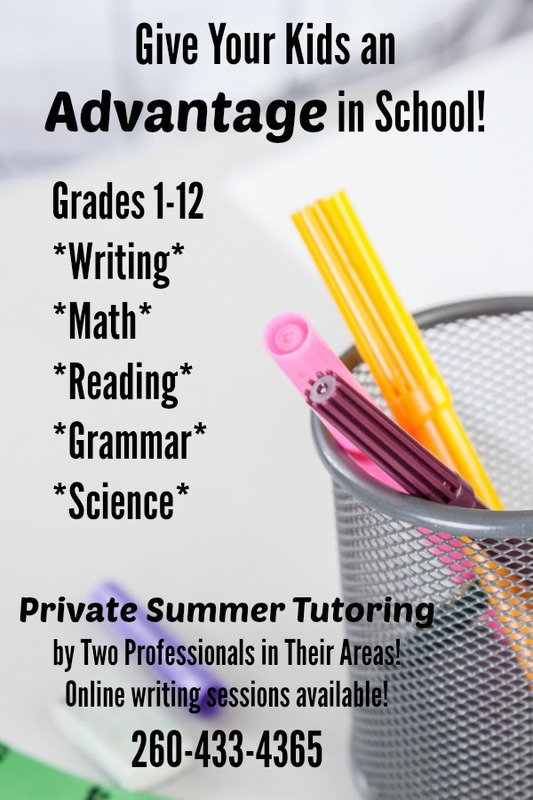 Students may miss one out of every tutoring session during the summer sessions without penalty (must attend 4/5 or 8/10 total private sessions). More than one miss per session requires a make up session or a payment. (These are summer guidelines only.) We always prefer to make up sessions whenever possible. *Complete Language Arts remediation for 4th-8th grade students who have not written three or more paragraph reports and essays—Tuesdays 12:00 SW Fort Wayne (We will use CQLA Level A for this class; one month samples are available at the store.) CQLA Summer Cost: $15 per week for a minimum of four weeks each session (preferably all five weeks); plus $10 per each five week session for their book. *High School Writing/Remediation—grades 7th-12th who have not written four paragraphs or more of all types of writing with quotes, persuasion, and more (Jump Start book)—Tuesdays 1:30-2:45 (This is also excellent preparation for jumping into CQLA or Meaningful Composition classes in the fall!) 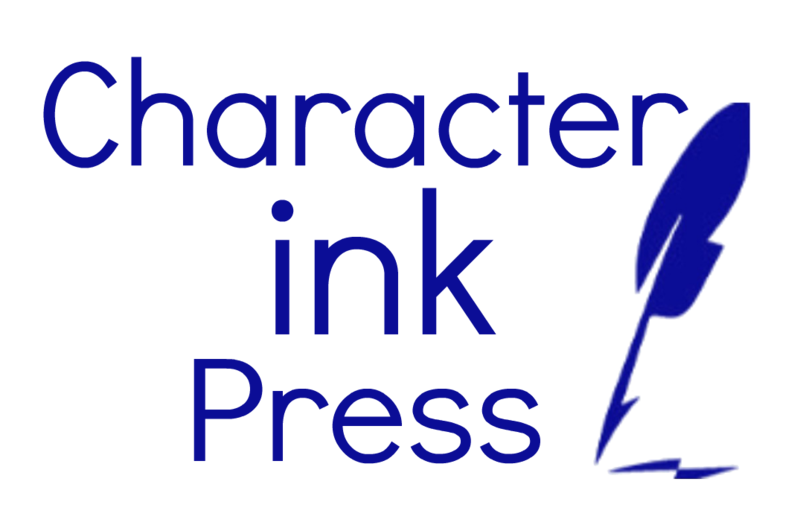 Writing Summer Cost: $10 per week for a minimum of four weeks each session (preferably all five weeks); plus $15 per each five week session for their book. *You Choose! –I would love to add an online class or a different in-person class to my line up this summer—check out the MC books at the store to choose a book for your student or group, and I will plan around you! (Note that this year’s in-person writing classes by Donna will be High School Essay in the first semester and Four Research Reports second semester; Jump Start is a wonderful way to get your upper level high schoolers ready for these two classes. Or we could do a creative writing class this summer if I had enough interest!) 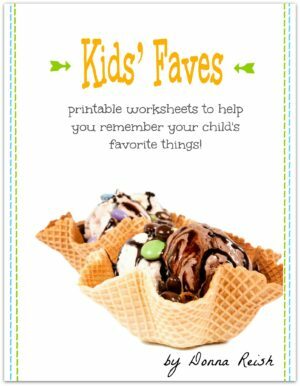 Writing Summer Cost: $10 per week for a minimum of four weeks each session (preferably all five weeks); plus $15 per each five week session for their book. 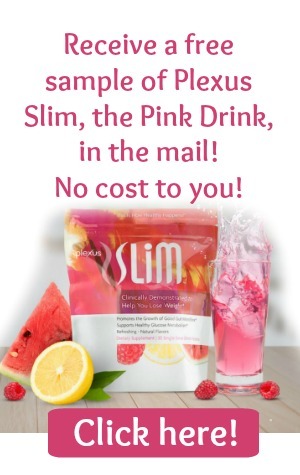 Call or text today for more information or to sign up! Decisions as to which classes will run will be made by June 1st and will be based on class enrollment. Donna at 260-433-4365.